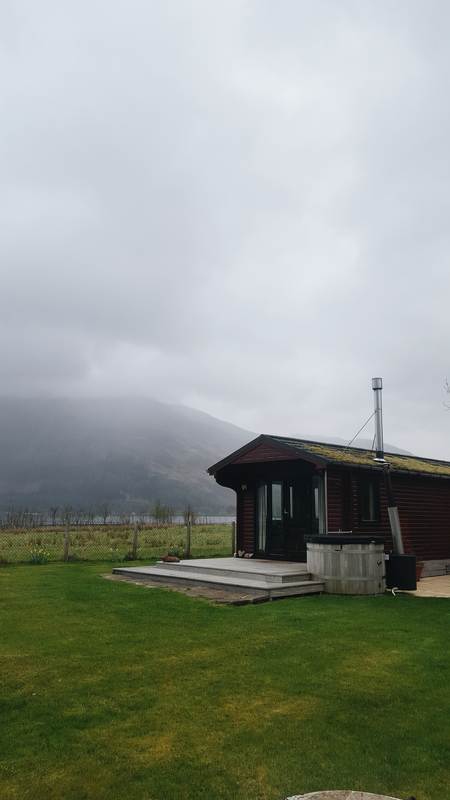 After an incredibly busy April with lambing on the croft, we headed off to the lovely Kintail Log Cabin for a few days of pure relaxation sat on Loch Duich and surrounded by some of the highest mountains in Scotland. 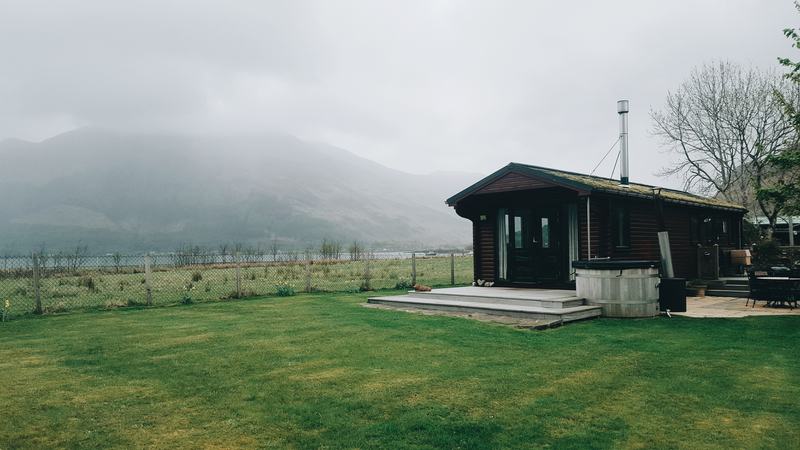 Kintail Log Cabin is located at Shiel Bridge, a perfect spot for exploring the direct area around the accommodation and only 17 miles from the Isle of Skye and a stone’s throw away from the scenic route around to Glen Elg. 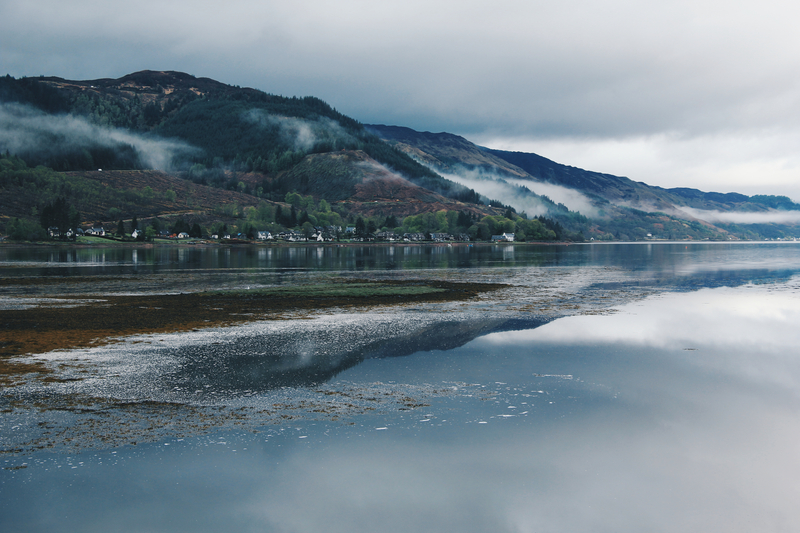 This is an area of Scotland that I'm quite guilty of driving straight past en route towards Inverness or Fort William. As I live in the Outer Hebrides the route through Skye and Kintail tends to be more of a passing place hence the reason I was really keen to actually spend a good few days in this location and slow down a bit! 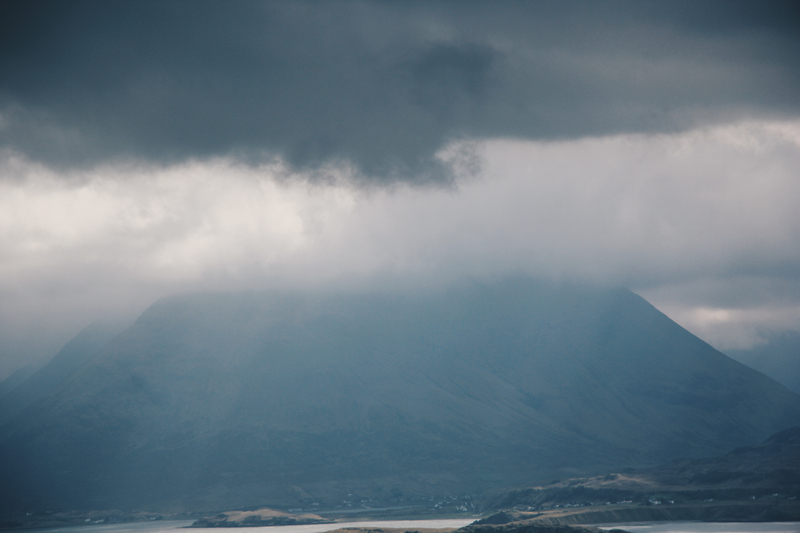 We arrived at the Cabin in the late afternoon after a ferry from North Uist and a scenic drive through Skye. We were met by the lovely Karen who is the owner of this unique place. Karen had the wood fired hot tub ready for our arrival, yes I did say there is a wood fired hot tub (what an amazing addition to this place) and we got straight into relaxation mode, ready to unwind and take in the surroundings. 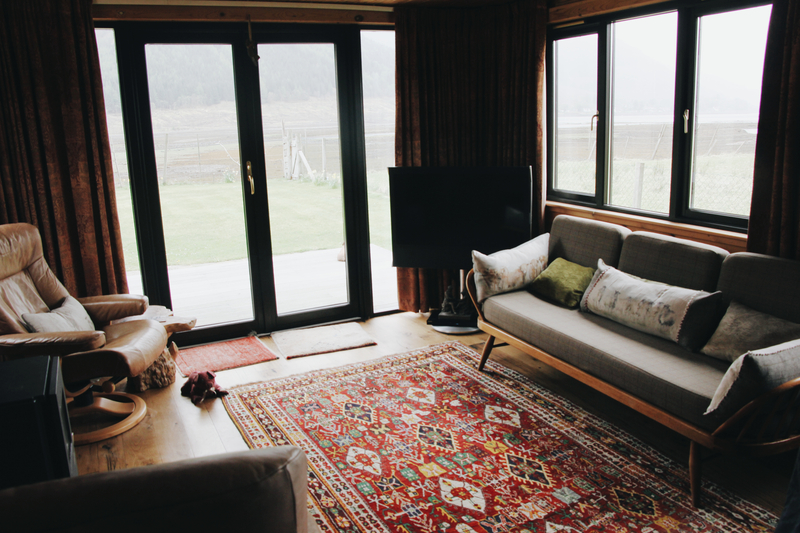 The cabin is equipped with everything you could possibly need, a home from home, a cosy and unique place of interesting detail and a build of stunning character. It is just off the beaten path yet is only a 10 minute walk along the shore from the Kintail Lodge where we had dinner in the evening. Another place for food that I can highly recommend! The cabin has two bedrooms, the kitchen is fitted with everything you need to be able to cook, a shower room, a laundry room and even an outdoor gas and charcoal barbeque! 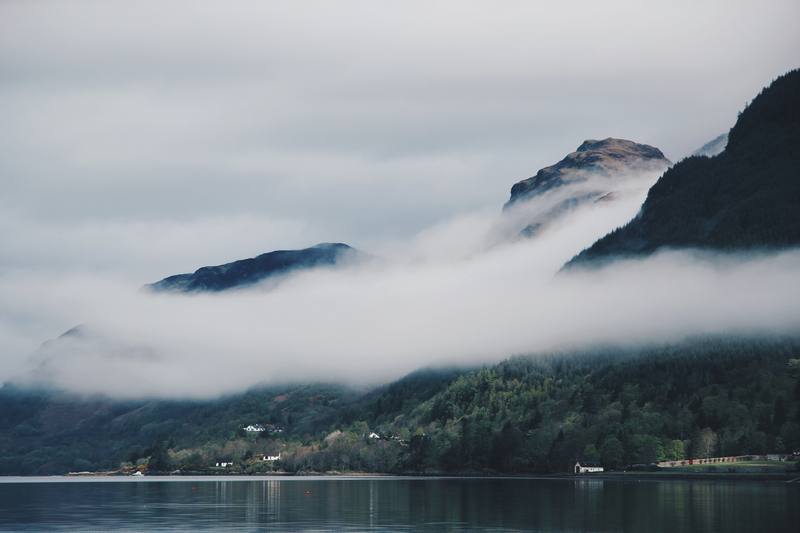 Sadly we didn’t get to make the use of the outdoor bbq as it proceeded to rain for most of our trip (classic Scotland) however we were more than happy to be relaxing in front of the fire within the cabin watching the mist envelop the dominant mountains around us casting an incredible atmosphere over the entire area. On our last day having spent the weekend slowing down, driving around the coastline towards Glen Elg and relaxing by the fire, we awoke to clear blue skies where we were truly able to appreciate the majestic location of this cabin. 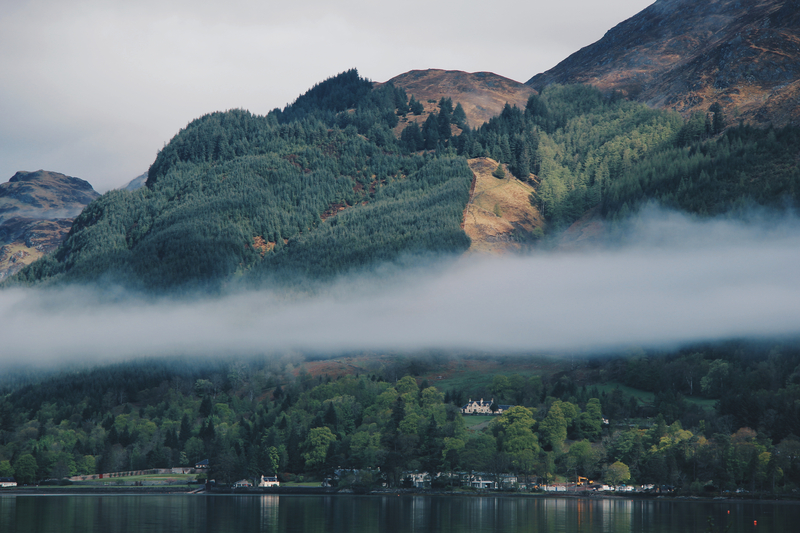 The towering peaks rose above us and it was very obvious why the cabin has been placed where it is. 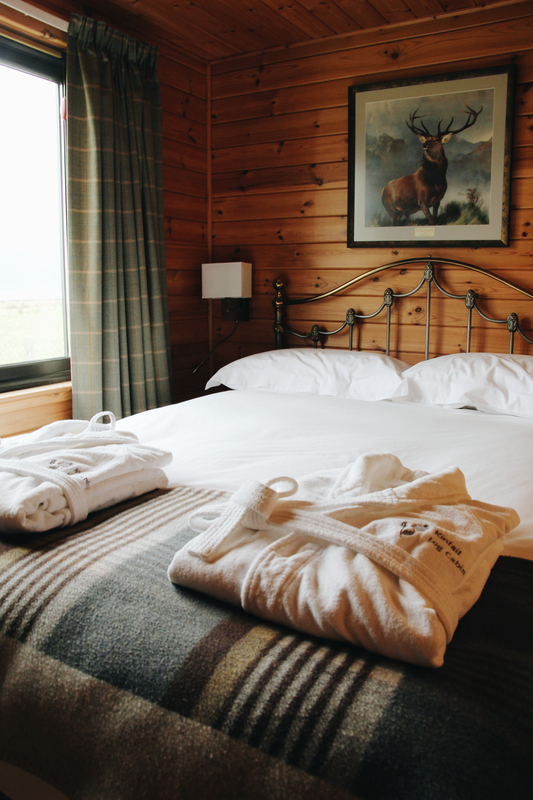 The best part about staying in the Kintail Log Cabin? Stocking the fire up in the wood fired hot tub before our dinner reservations and walking back home to the cabin along the shore to slip straight into the hot tub to have an evening beneath the stars, an absolute must and an evening that I’ll not be forgetting anytime soon! I would highly recommend this place, not only for the ideal location for exploring Skye, Glen Elg and climbing atop the impressive Munroes, but also for spotting wildlife and slowing down to appreciate the wonderful details of this thoughtfully built Cabin whilst being immersed in its beauty and homely charm. I’m already looking forward to going back!